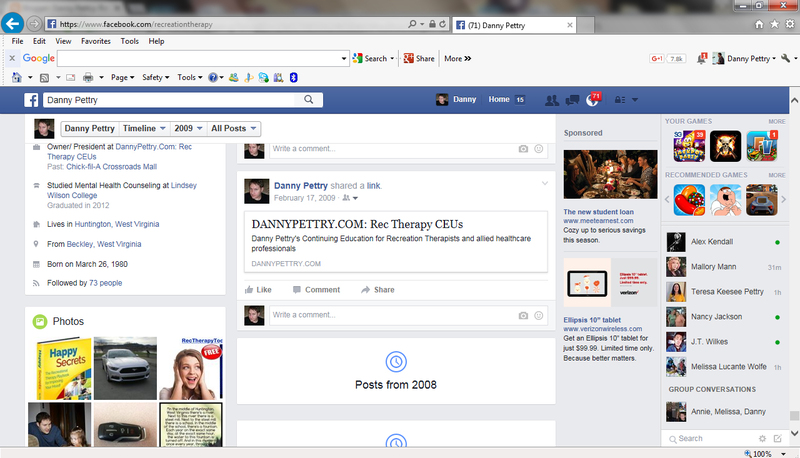 courses to a new site, RecTherapyCEUs.com to provide you with better services. Why the new site? It is to serve you in more ways. You’ll be able to recall RecTherapyCEUs a lot easier. It’s a catchy url. What if you like the old site? You’re okay. It is still going to be up and running too! oblivion. Who knows? Maybe someday our fb page will go the way of myspace too.